NH Attorneys: What is “Discovery”? You may have heard NH attorneys throw around the word “discovery” or tell you that your case is in the discovery stage. What exactly does this fancy word mean? Discovery is the process by which your attorney and the opposing counsel’s attorney (the “parties”) gather information and evidence about the case to help prepare for trial. Inevitably, the opposing counsel will find out certain facts about your case that you may not have wanted them to know, but the bright side is that your NH attorneys at Manning & Zimmerman will also collect material that will help your case. How is this done? Basically, there are five tools attorneys use to gather this material: interrogatories, requests for disclosure, requests for admissions, requests for production, and depositions. Interrogatories are written questions between both parties. These are questions that are tailored to the facts of the individual case. 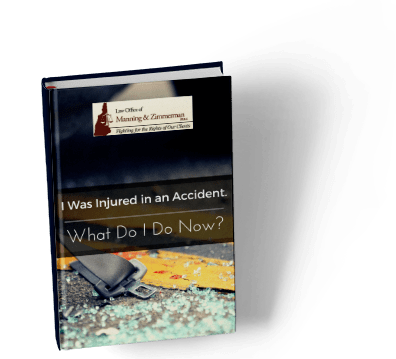 These request tend to be broader than other discovery requests, such as where did the accident occur, what injuries did you sustain, or when did you last have contact with so-and-so. These requests are usually limited in number. The responses to these questions will help the opposing attorney narrow down issues and strategize on how he/she might contest your case trial. Requests for disclosure are similar to interrogatories, as they are also written questions. These are usually for specific information that the Courts have determined should be exchanged in civil cases. Examples might include disclosure of any witnesses, experts, or parties with relevant information, the amount of restitution/damages the other party is seeking, and copies of all medical records. This gives the attorney an idea of the opposing counsel’s game plan for trial, which of course allows the attorney to plan and prepare counter-arguments. Requests for admissions are written questions asking the other party to admit or deny certain allegations or the truth of a specific matter. For example, NH attorneys may ask the other party to admit or deny whether he/she was wearing a seat belt at the time of an accident. These requests simplify for the trial by eliminating matters about which there is no real controversy. The biggest threat with requests for admissions comes when a party does not admit or deny by the deadline to respond to such requests (generally within 30 days of being served). When this happens, the requests are automatically deemed admitted for all purposes! The responding party may state that they neither admit nor deny a request but must give a reason for doing so, such as they do not have proper information to respond or need to make a reasonable inquiry. Requests for production are written questions propounded asking a party to produce particular documents or tangible evidence. This may include requests to inspect certain tangible evidence or documents. Any requests must specify which documents or evidence needs to be produced and the place for production. The opposing party has the responsibility to produce such documents/evidence or to make them available. Examples of certain requests would be requesting copies of insurance or indemnity agreements, phone records, health records, etc. There may be possible privacy or confidentiality objections to certain requests depending on whether it is relevant to the case. Depositions are probably the most nerve-wracking of the discovery processes, because it requires the client or witness being deposed to be present. A deposition is a sworn testimony, usually conducted in person or occasionally by video/phone conference. It is much like an interview, where the attorney gets to ask questions. Usually depositions are stenographically recorded and sometimes even videotaped. NH attorneys may request to depose the other party/client or witnesses. This is a useful tool in gathering information. As a client, you may be deposed by opposing counsel. Your attorney will generally meet with you ahead of time to help you understand the process. It is alright to tell opposing counsel that you do not know the answer to a question or to ask for clarification, but you must respond to all questions asked unless your attorney makes an objection. Usually NH attorneys may only make limited objections at depositions, such as based on harassment or privilege.